Greetings from Dubai Multi Wallpaper combines two fashionable themes of the year. This includes travel and the Middle East to create a stunning wallpaper design. First of all, this incredible design is part of the much loved Sahara Nights Wallpaper Collection. So it is sure to make a welcome addition to your walls. 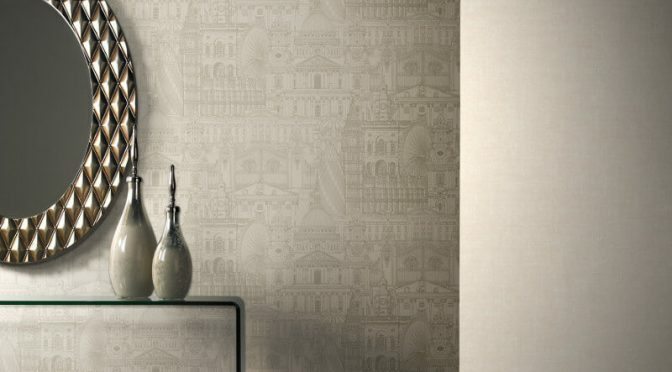 The wallpaper also embraces the essence of Dubai and is perfect for transforming any room. Finally, the SK Filson Greetings from Dubai Multi Wallpaper is well suited for use as a feature wall. Pick an accent colour from the design and use it through home accessories to complete the look. London City Mulberry Wallpaper is a great way to add character to your walls this season. This eye-catching wallpaper is part of the Tempus Wallpaper Collection. So it is sure to make a welcome addition to any room. 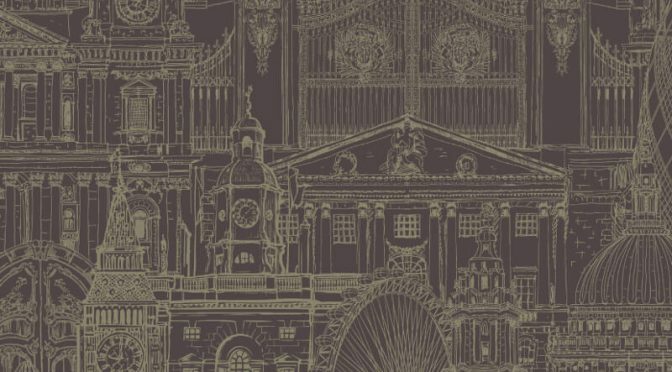 The wallpaper features an exquisite London city design and has a vintage inspired feel. Furthermore, it is brought to life in a deep mulberry colour scheme for a fashionable finish. Finally, the SK Filson London City Wallpaper is well suited for use as a feature wall. Team with cream tones for a beautiful finish that will transcend the seasons.